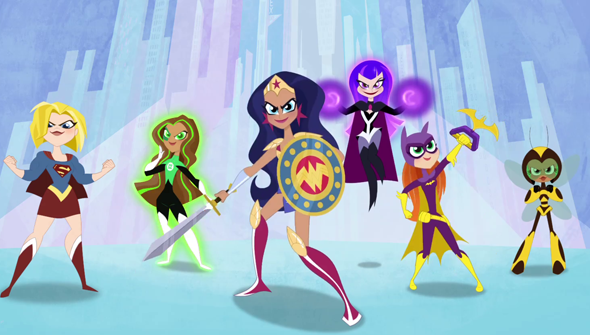 Lauren Faust, the creator of Cartoon Network’s reboot of DC Superhero Girls, took the stage at WonderCon this weekend along with the voice actors of the iconic superhero team. 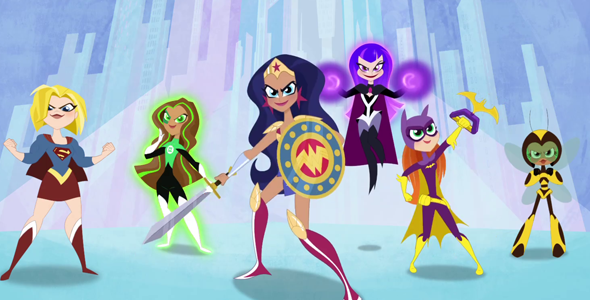 Grey Griffin (Diana Prince), Tara Strong (Barbara Gordon), Nicole Sullivan (Kara Danvers), Kari Wahlgren (Zatanna), Myrna Velasco (Jessica Cruz) and Kimberly Brooks (Karen ‘Bumblebee’ Beechers) all shared their enthusiasm for the season and what’s to come. Valerio Ventura, who works on styling these characters, also joined the stage. To kick off the panel, fans were treated to a sneak peek of a new episode, introducing Diana’s comic book villain Barbie aka Cheetah. And although Cheetah isn’t a new character in the DC Superhero Girls world, Diana welcomes Cheetah with open arms in the end. The actors behind the camera revealed they have resonated a lot with their respective characters, and Griffin shared Diana’s mission to find herself has brought her closer to her real-life Mexican-American heritage. A few iconic DC characters will be making their way onto the show, Faust revealed, including Harley Quinn, Poison Ivy, Catwoman, BeastBoy, Raven, Cyborg and Starfire.